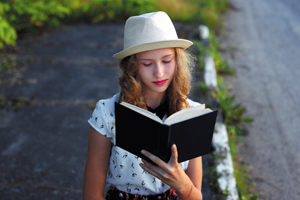 Young Adult (YA) readers have been responsible for a significant portion of overall book purchases in the last few years, helping to make up for lagging sales in adult fiction and nonfiction print books. However, most of these YA sales can be attributed to general market releases. The Christian market has not kept pace with top-sellers like the “Twilight Saga,” “The Hunger Games” and “Divergent” series. Reaching this important audience with quality, engaging Christian books can provide a solid opportunity for greater revenues and spiritual growth for these readers who are currently purchasing their books at general market retail. In September, I attended the second annual Nielson Children’s Book Summit in New York City. 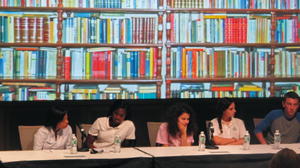 Much of the discussion at the event was focused on the YA category and how to best reach these readers—some of whom are adults. The insights I am sharing are largely based on two panels of YA readers we had the pleasure of interacting with at the conference. One panel was made up of teen YA readers, and the other included adult YA readers. Many of the following insights come from the panelists who read YA books regularly. According to The 2015 Nielson Children’s Book Market Report, 40 percent of YA readers who purchase books for themselves are between the ages of 18 and 29; 27 percent are 30-44, and 21 percent are 13-17. Nielson’s findings also point out that many of these sales are print books not digital, and contrary to what many may think, the majority of teens actually prefers print books rather than e-books. These teens feel that holding a book creates a more authentic experience and allows them to engage with the story at a deeper level. Their love of print books opens the door for Christian retailers to invite them into the stores to choose their next favorite read. Both teens and adults who are YA readers agree on several criteria they believe are important. In selecting books, they look for connection, introspection and creativity in storytelling. The characters must be well-developed, unique, relatable and empathetic. Readers want to feel an attachment to the people in the stories. The stories also should help readers learn more about themselves and the world around them. They want to be challenged to develop an awareness of topics they, their friends and people from other cultures are dealing with every day. The plots need to make the reader think more deeply about important issues. The adult panel at the Nielsen event called this “brain growing.” Teens feel that there is a misconception that they don’t care about learning new things and expanding their horizons. They want people to know that they do care and want to learn. The book’s front cover has to attract attention as shoppers are walking past, and back cover copy should be written in a way that draws readers into the story and makes them want to purchase the book. Both panels also stressed that the back cover copy should accurately represent the content of the book. The story lines need to be fresh and innovative. YA readers do not want formulaic stories, and they want to be surprised or at least wait to see how the storyline resolves at the end of the book. They would like to see certain themes addressed, including diversity, history, current international issues and young people facing everyday life issues. They want to read along themes that are relatable to real life, and they are tired of dystopian stories. Adults said they view the YA label as a PG-13 rating for their kids. They believe these books are usually safe for their kids to read, so they will head for the YA section. Word-of-mouth recommendation: Readers tend to share books with their friends when they are excited about what they have read. They are much more likely to purchase a book recommended by a friend. Teachers and librarians: Well-informed teachers and librarians have an opportunity to encourage kids to read quality books. If the teens respect the adult, they will follow up on their book endorsements. Amazon suggestions: Amazon does a great job of suggesting additional books similar to what a shopper is already reading, and YA readers are paying attention and taking these suggestions to heart. Internet: Along with Amazon, YA readers look to other online sites for recommendations, including Goodreads and Wattpad, which provide reviews and offer discounted books. Author pages and social media: If young adults like an author, they will follow that author on social media and purchase new releases as they are made aware of them. Movie tie-ins: Many readers will purchase a book after they have seen the movie because they want to go deeper into the story. Parents: Sometimes teens will take recommendations from their parents, but this was not one of the highest on the list because parents don’t always hit the mark with their choices. Cross-promotional pages: YA readers do look at cross-promo pages listed on the back book cover and sometimes purchase the titles listed there. How can you draw them? Host book clubs using ARCs (advanced reader copies) from publishers. Readers, especially teens, like to have a first peek at a new book. Request YA ARCs and host a book club. Give participants free books and urge them to encourage their friends to purchase the books when they are released. Provide a comfortable place to read in your store. Many teens don’t like to read at home. Siblings, chores and other distractions keep them from focusing on the book they’re reading, so they look for other places to read. Set up a small reading nook and provide free coffee and tea. Encourage them to read at your store. Pay attention to what they are reading while at your store in order to make suitable recommendations for other books they might like. Offer membership, rewards or loyalty programs. Build up points for free books based on their purchasing history at your store. This can be a simple program, but the opportunity for free books is a big draw. Educate your store employees on the YA products you carry so they can make intelligent recommendations to customers. Ask publishers for editorial letters to give your staff a hook that will help them sell YA books. Tell publishers what types of Young Adult book displays seem to work—or don’t—at your store. Ask for flexible displays you can tailor to your store layout. Make these displays work for you, not against you. Host author signings at your store. Give participants time to talk to the authors. Set up a 30-minute question-and-answer period. The more readers connect with an author, the more likely they are to purchase the author’s books. Educate local teachers and librarians about what titles are on your shelves and ask for their thoughts on the types of books they see students reading. These professionals can be a valuable resource as you choose which books to carry. Think carefully about how you shelve these books. Teens strongly dislike the YA identifier. They feel that the Young Adult book area in most stores is too fractured, and they would rather have books shelved according to subject matter (dystopian, romance, fantasy) rather than combined under the YA label. Building a strong base of YA book purchasers is within reach for your Christian retail store. Encourage publishers to bring you well-written, appropriately themed books in this genre. Find creative ways to invite readers into your stores and keep them coming back with strong recommendations for future reading. Linda Howard is acquisitions director for children and youth at Tyndale House Publishers. Her education degree and 14 years of teaching assist her as she acquires and markets books for kids of all ages.